I'm so happy to have found this site. I've been working intensively on myself. I've cured physical problems ranging from the reversal of diabetes to being able to sleep without my socks and not wake up with a sore throat. With Ellen's help, I have worked through dozens of lifetimes of karmic issues, resolved them, accepted the lessons and gifts and integrated all of it into my conscious reality. I am much stronger and wiser, as I continue my journey to spiritual awareness and development. I am now experiencing abundance, peace, joy, love, hope, and boundless energy in my life. People look at me and are amazed at who I have become. With Ellen's help, I have forgiven my worst enemies and have been forgiven by those for whom I was the enemy. I beat a brain tumour that almost claimed my life, because I responded to the wake up call from the universe. I have turned around hopeless situations from the past and am NOW able to avoid bad situations because I understand the dynamics of life and lessons and I see my path clearly. Ellen helped me channel answers and guide me through the exercises I needed to do at each stage of my awakening. I am eternally grateful to her for the guidance and explanations to all my questions as I put forth the effort and did all this healing work. I'm still not done with the site, I come back often, read, re-read, understanding a bit more sometimes. I refer a lot of people to this site, hoping for their sake that they are able to make as much use of this resource as I have. Thanks! Your Past Life Channeling was very interesting. I was amazed at your nearly instantaneous and encyclopedic knowledge of my past incarnations. The reading helped to explain why I am the way I am. I'm feeling a sense of relief and calm, like a burden has been lifted! Plus, your website is wonderful! Thank you for sharing this wealth of uplifting and enlightening information. I can only imagine the countless hours and huge amount of energy you've expended on this work. Thanks! Ellen, I am very, very thankful to have gotten your response to my Past Life Profile questionnaire. The answers with all the links that came with it are like an invitation and a helping hand to investigate further how things work, and what I can do to live meaningfully as I desperately want. I go from link to link and find jewels. I feel loved and helped by my spiritual helpers. I know I am the one who has to do whatever it is that needs to be done. But this is an easy thing when things get clarified and the understanding gets supported. I feel relief and have the understanding that things make sense again. I love you, Ellen who channeled, and the spiritual beings who spoke. I close my eyes with thankfulness and love, as cats do, and I feel the endless peace and know that everything is OK and that I am walking my path. I thought my Past Life Profile reading from Ellen was quite interesting. 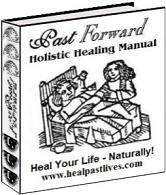 I had read some things on past life regression and had been doing some relaxation exercises. I recalled 3 past lives quickly. I have been meditating for many years so I think it was easy for me to expand my awareness. I received memories in relation to the men in my current life - which is what prompted me to start reading about past lives. My reactions to a couple of these men seemed out of the ordinary and had to have some "other-worldly" explanation. What resonated from the Past Life Profile, in particular, was that I was killed in a fire in a past life. Ever since I was child I have been afraid of fire! I thought it was due to setting a blanket on fire when I was 5, but it was already a phobia due to the past life. To this day I will only light a match if it is a heavy wooden one! There were quite a few other things like this that made sense in the Profile. What an insightful past life reading! It was obvious that Ellen took her time to explain everything clearly to me. Makes sense now, thanks! I am grateful to have found your site and the tests you offer. I found it by doing a search for "walkin walkout". I am going through a spiritual mid-life crisis. I have read about vows taken in past lives (Vows of Poverty, etc). I am certain that my past lives and vows taken as a priest/priestess are keeping me from enjoying and being fulfilled in this life. I found your site because I was looking for a poem called "Rules of the House". Sometimes we don’t like what our parents or other adults are like when we are kids, and we say, “I never wanna be like that when I grow up.” Then what? It’s hard to find a place that says, “Honey, that’s up to YOU!” We are not there yet, we are always growing. I still don’t know all the answers but by God, I’m doing better! Incredible site. I used to be very influenced by my past lives when I was a child. After some time, I learnt how to stop some crazy thoughts, dreams, phobias, etc. Still haven't tried everything [free exercises] here but I believe in what I read here. I wish you good life and be happy! I absolutely love your website. I have been searching for this information for a long time. Everything rings so true and some of the exercises I've been doing for years! Thanks for the help! Great website you have. My quest in understanding spirituality has quite fortunately led me here. Lots to think about... Regards! I am a conventional counselor-psychotherapist, but deeply interested in regression and past lives. Very exciting and useful material. Regards! Thank you for your website. It has given me information that I am sure will help me in my spiritual quest in the future. I am having a great time reading through your site. Thank you! This a great website - I wish I had found it sooner. Took your challenge: I'm trying NOT to be lazy! Very interesting and enjoyable website. Thanks for helping all peoples!